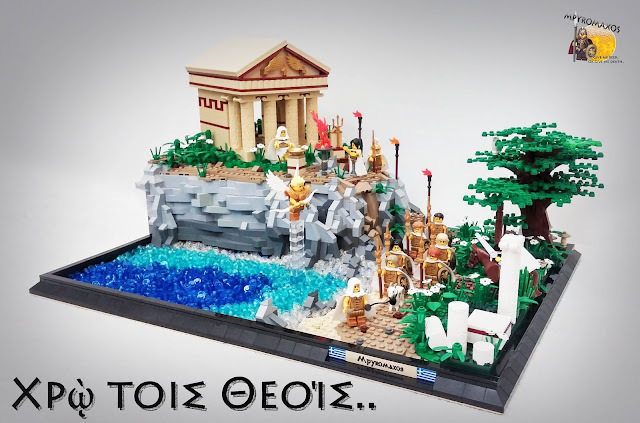 Ancient Greece always gives me inspiration to build something new. Flickr.com member Mpyromaxos build something inspirational for me to enter a gricks.gr design contest. Χρῲ τοις Θεοίς. (Invoke the gods) is including standart ancient greek elements with good presentation. Perfectly builded temple lynig on the top of the rocks and details of soldiers are perfect.